What can research tell us about peer relations among autistic learners, and what can we do in our schools to support? Understanding the nature of peer relations among autistic learners requires a multi-faceted approach. A useful starting point is to consider social actions; a shared process in which children initiate and react to social stimulation from their peers (Bauminger, Shulman, & Agam, 2003), which feeds the development of peer relationships (Bierman, 2005). Naturalistic studies of social interaction patterns in autism during both childhood (e.g. Bauminger et al., 2003; Hauck et al., 1995) and adolescence (e.g. Humphrey & Symes, 2011) have produced a number of common findings. Autistic students generally experience lower quantity and quality of social interactions than typically developing peers. They are much less likely to initiate or accept social interactions with peers (Sigman & Ruskin, 1999), and spend much more time engaging in solitary behaviour (Bauminger et al., 2003; Humphrey & Symes, 2011). Consistent with the ‘general differences’ framework (Lewis & Norwich, 2005) these differences are true even when compared to children with disabilities other than autism (Hauck et al., 1995; Humphrey & Symes, 2011). 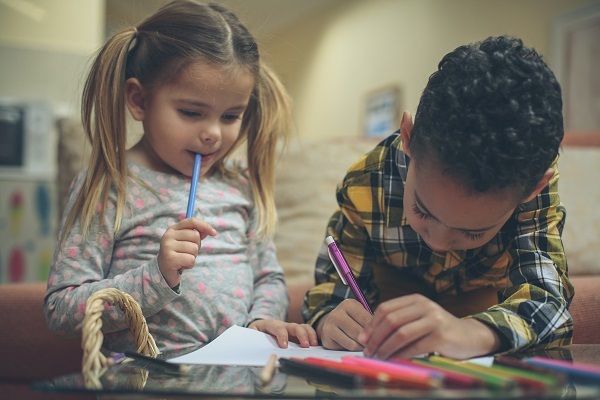 These peer interaction patterns appear to be unrelated to the level of functioning, although early nonverbal communication and play skills may predict the extent of peer engagement (Hauck et al., 1995; Sigman & Ruskin, 1999). Some evidence suggests that the frequency of interactions is unaffected when adults, as opposed to peers, are the target (Hauck et al., 1995). Research on peer awareness, understanding of and attitudes towards autistic children is comparatively limited, however, there does exist a body of evidence upon which we are able to draw – particularly the work of Campbell and colleagues in the US (see, e.g. Campbell, 2007; Campbell, Ferguson, Herzinger, Jackson, & Marino, 2004, 2005; Morton & Campbell, 2008). The study of typically developing children’s understanding of and attitudes towards special educational needs and disabilities is a useful place to start. Much of the work published in this area appeared in the years leading up to and following the publication of the Salamanca Statement, and we see a number of themes. Firstly, younger children appear to be the most accepting of disability (Nikolaraizi et al., 2005), but there is otherwise no obvious age-related trend (Nowicki & Sandieson, 2002). Secondly, social contact moderates attitudes. For example, children who attend inclusive schools hold more positive attitudes towards disability than children attending non-inclusive schools (Nowicki & Sandieson, 2002). Thirdly, girls appear to be more accepting of disability than boys, although this is moderated by the gender of the attitudinal target (Nowicki & Sandieson, 2002). Finally, in terms of awareness, children typically show greater understanding of sensory and physical disabilities than those that are considered to be ‘hidden’ (i.e. there are no obvious physical signs) (Magiati, Dockrell, & Logotheti, 2002). With significant evidence indicating that autistic children and young people experience reduced quality and frequency of interaction with their peers, it can, therefore, be suggested that this is driven by both established social difficulties and a lack of awareness and understanding (and subsequent exclusionary attitudes) among peers. This lack of understanding parallels what Milton (2012) refers to as the 'double empathy problem’. This dual process segregates those with autism from important sources of social support in the peer group microsystem, making them more vulnerable to bullying and victimisation. Humphrey and Symes (2010) found that autistic adolescents attending mainstream schools reported significantly lower social support from both classmates and friends than children with other or no disabilities. Significantly, this study also demonstrated that social support from classmates acted as a protective buffer against bullying and victimisation. Most studies have highlighted differences from learners with other or no disabilities that consolidate into an overall profile of negative peer-related experiences. In parallel, a small but growing body of research has begun to consider peer awareness, understanding, and attitudes towards autism. This work has demonstrated that awareness and understanding of autism have increased in recent years but is still relatively low. Attitudes may vary as a function of the extent to which explanatory information about autism is provided, and how this is communicated. Our 17th Annual SEND Update Conference takes place in London on Thursday 23 May 2019. This conference will allow you to take away practical strategies to help manage the increasing pressure on SEN departments, giving staff confidence in effective teaching to SEND pupils. The reciprocal effects peer interaction model (REPIM) combines these findings and proposes a dual-route sequence to aid our understanding of these important processes (Humphrey, N., & Symes, W., 2011). These three features – power, intention, and repetition – are generally accepted and feature in most definitions of bullying. Other potential ‘essential ingredients’ include a social setting and lack of provocation, although these are more controversial. For example, bullying researchers have increasingly recognized the existence of provocative victims, or more commonly ‘bully-victims’. How can we support peer interaction? As ever, I try to ensure clarity with regard to specific actions that can be considered. Ensure appropriate sessions are available at social times. Use social stories to help young people understand social situations. Use lego therapy to help with social interaction and communication. Use comic strip conversations to help develop social understanding. Use talking mats for help with expression and feelings. Use animal interventions to build relationships and enhance motor skills. Offer SALT to help with speech, language and communication needs. Bauminger, N., Shulman, C., & Agam, G. (2003) Peer interaction and loneliness in high functioning children with autism. Journal of Autism and Developmental Disorders, 33, 489–507. Bierman, K. L. (2005) Peer Rejection: Developmental Processes and Intervention Strategies. New York, NY: Guilford Press. Campbell, J. M. (2007) Middle school students’ response to the self-introduction of a student with autism: effects of perceived similarity, prior awareness, and educational message. Remedial and Special Education, 28, 163–173. Campbell, J. M., Ferguson, J. E., Herzinger, C. V, Jackson, J. N., & Marino, C. A. (2004) Combined descriptive and explanatory information improves peers’ perceptions of autism. Research in Developmental Disabilities, 25, 321–339. Campbell, J. M., Ferguson, J. E., Herzinger, C. V., Jackson, J. N., & Marino, C. (2005) Peers’ attitudes toward autism differ across sociometric groups: An exploratory investigation. Journal of Developmental and Physical Disabilities, 17, 281–298. Hauck, M., Fein, D., Waterhouse, L., & Feinstein, C. (1995) Social initiations by autistic children to adults and other children. Journal of Autism and Developmental Disorders, 25, 579–595. Humphrey, N., & Symes, W. (2010) Perceptions of social support and experience of bullying among pupils with autistic spectrum disorders in mainstream secondary schools. European Journal of Special Needs Education, 25, 77–91. Humphrey, N., & Symes, W. (2010) Responses to bullying and use of social support among pupils with autism spectrum disorders (ASD) in mainstream schools: a qualitative study. Journal of Research in Special Educational Needs, 10, 82–90. Humphrey, N., & Symes, W. (2011) Peer interaction patterns among adolescents with autistic spectrum disorders (ASD) in mainstream school settings. Autism: The International Journal of Research and Practice, 15, 397–419. Lewis, A., & Norwich, B. (2005) Special Teaching for Special Children? Maidenhead: Open University Press. Magiati, I., Dockrell, J. E., & Logotheti, A.-E. (2002) Young children’s understanding of disabilities: the influence of development, context, and cognition. Journal of Applied Developmental Psychology, 23, 409–430. Morton, J. F., & Campbell, J. M. (2008) Information source affects peers’ initial attitudes toward autism. Research in Developmental Disabilities, 29, 189–201. Nikolaraizi, M., Kumar, P., Favazza, P., Sideridis, G., Koulousiou, D., & Riall, A. (2005) A cross-cultural examination of typically developing children’s attitudes toward individuals with special needs. International Journal of Disability, Development and Education, 52, 1. Nowicki, E. A., & Sandieson, R. (2002) A meta-analysis of school-age children’s attitudes towards persons with physical or intellectual disabilities. International Journal of Disability, Development and Education, 49, 243–265. Sigman, M., & Ruskin, E. (1999) Continuity and change in the social competence of children with autism, Down syndrome, and developmental delays. Journal of the Society for Research in Child Development, 64, 1–114. United Nations Educational, Scientific and Cultural Organisation. (1994) The Salamanca Statement and Framework for Action on Special Needs Education. Salamanca, Spain: UNESCO. Williams, D. (1996) Autism: an inside-out approach. An innovative look at the 'mechanics' of 'autism' and its developmental 'cousins'. Jessica Kingsley Publishers.